1. Put the celery, half the mushrooms, cheese, yoghurt, garlic and parsley into a food processor and blend until fairly smooth. 2. Cover and chill for about one hour. 3. 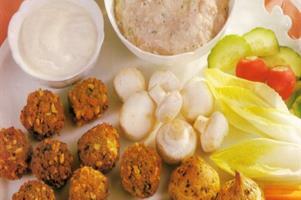 Serve with rinsed button mushrooms, chicory, radishes and cucumber wedges - to be used as dippers.